Popular OS X and iOS app iA Writer is coming to Android. The developers have announced a beta version, which will be available for the first 999 people to sign up on their Google+ page, with the final version arriving later. 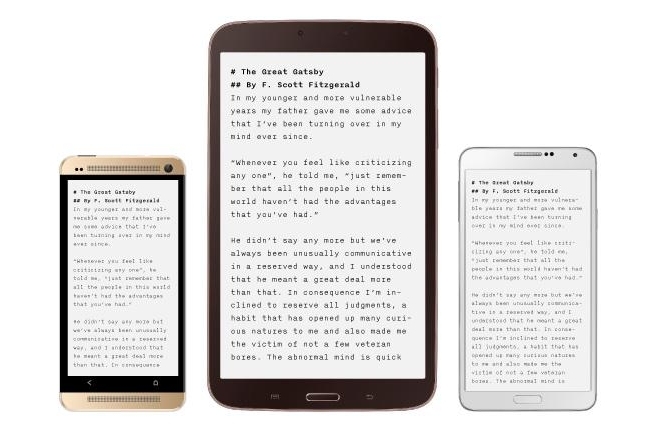 iA Writer beta will be available through the Play Store for $0.99. The reason behind this is that Google doesn’t allow developers to release a free app and then make it paid later. On the upside, if you are one of the 999 people to get the beta for $0.99, then you won’t have to pay anything extra when it gets updated to the final version later, which will cost $4.99. For those who are not aware, iA Writer is one of the best distraction free writing application available on OS X and iOS. There are practically no settings or options and it’s just simple black text on an off white background. The iOS version features custom keyboard with shortcut buttons for basic functions and syncs with the OS X app via iCloud or Dropbox. Hopefully, they are able to keep up with their standards and deliver the same experience on Android.